Every closet needs the essentials, but we give each style a twist to feel fresh and special. 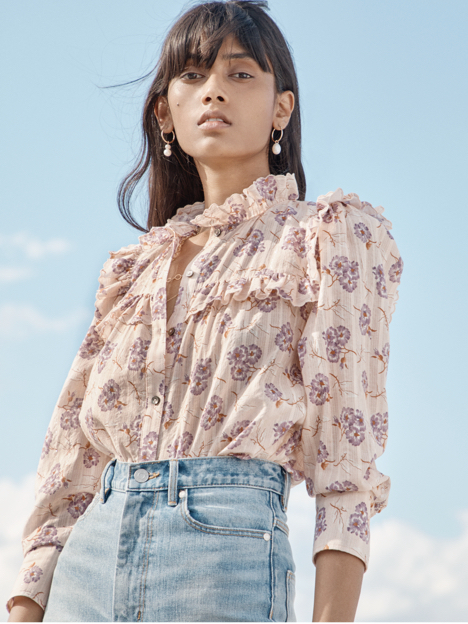 Our wardrobe staples are made of washable, wearable cotton and accented with femme details like embroidery, florals, sailor stripes and ruffles. Turtlenecks and sweatshirts keep you cozy in colder weather, while jersey tees and tanks are ideal for warmer months or layered under jackets. Pair these tops with your go-to jeans or skirts for an effortlessly polished everyday look.